HTC U12+ Review – Does HTC Have What it Takes Anymore? If there’s one smartphone maker out there that’s been having a tough time as of late, it’s HTC. 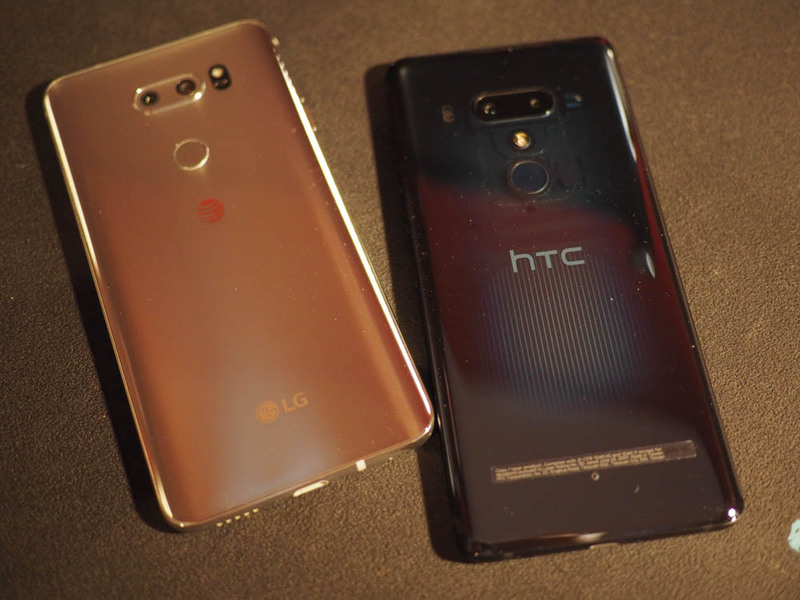 What was once a very popular and well known brand, the perception of HTC in the minds of the public has been decreasing at an alarming rate throughout the years. Seeing someone with an HTC phone is like spotting a unicorn and the same goes for actually seeing one at a carrier store. HTC’s flagship devices aren’t even sold at the carriers anymore and instead, you’ll have to head over to HTC.com or a shop that sells unlocked devices. It’s a shame because in actuality, their phones aren’t bad at all. They’re usually packed with a lot of the latest flagship features and specs. Take for instance HTC’s latest, the HTC U12+. This is HTC’s latest, 2018 flagship device that takes what it learned from last year’s device and “improves” upon it, or at least tried to. For the most part, the HTC U12+ looks very similar to last year’s, HTC U11 with a few elements that have been moved around and changed. There’s no longer a finger print reader on the front anymore. Like a lot of Android devices now, the finger print reader has moved to the back of the phone. This is only a finger print reader as there is a separate power button on the right side of the phone. 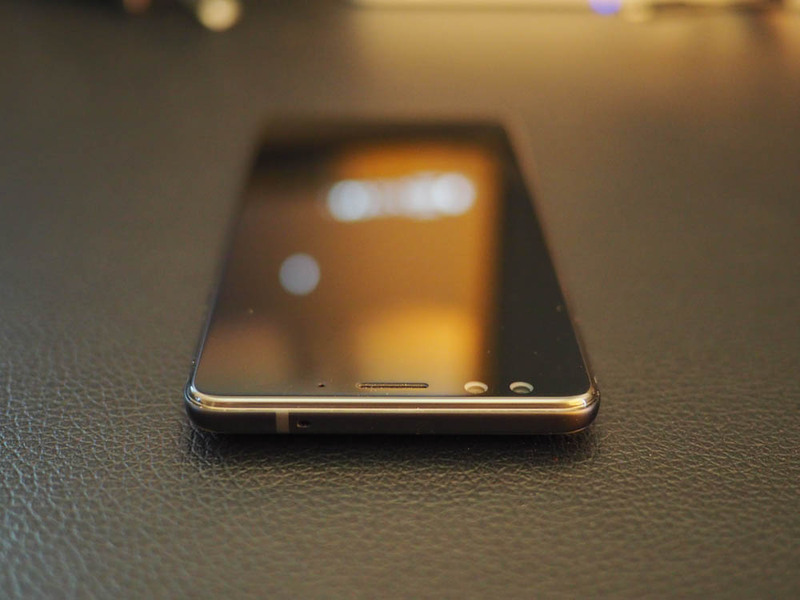 Other than that, the front of the device is all screen and a pretty good screen too. You’re looking at a 6-inch Super LCD display with a Quad-HD+ 18:9 ratio with really thin borders. There are also two cameras up top. 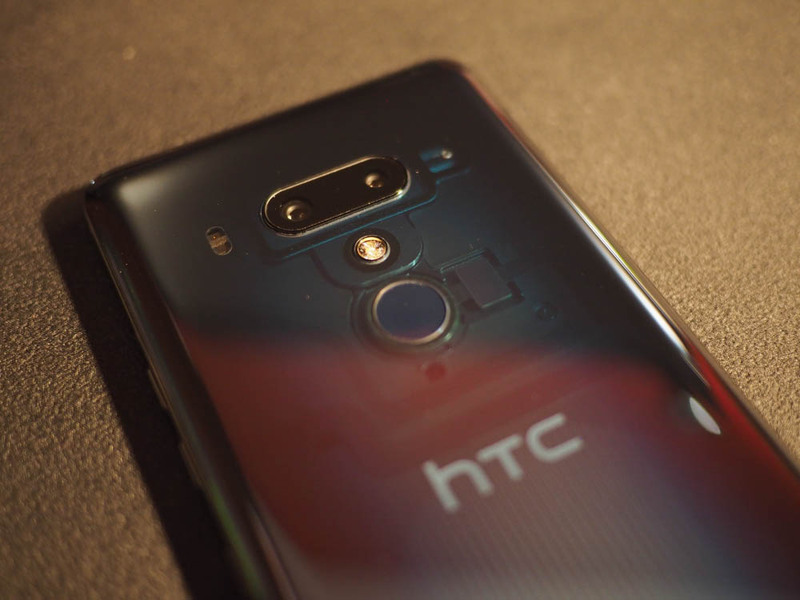 Another change comes to the rear of the HTC U12+ where there are now two cameras instead of just one. That makes a total of four cameras on this thing. Speaking of the rear, the review unit I received is the Translucent Blue color and it a pretty awesome color. If you were to get this phone in any color, it would be this one. The Translucent Blue color allows you to peer into the inside of the phone and really gives the phone a unique look. 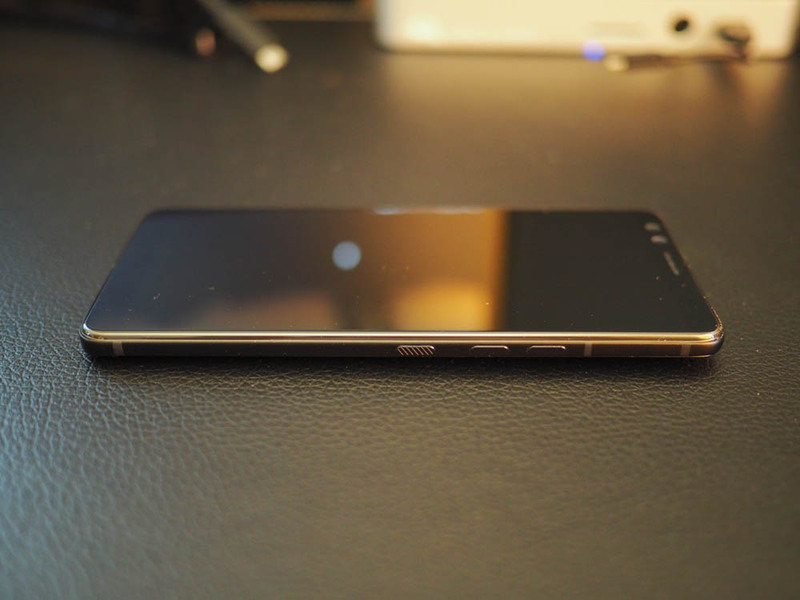 Also, the back glass is curved at the edges but is a bit flatter I think than the previous phone. Like with previous models, the HTC U12+ retains its HTC BoomSound profile with dual Hi-Fi edition speakers. These separate the woofer and the tweeter for better sound. I just like the fact that there is a front facing speaker. Lastly, like most other HTC devices, all the button are on the right side of the phone. The volume buttons sit above the power button. However, there is a slight issue with these buttons that needs to be addressed. It seems that HTC has made the process of pushing buttons harder than it needs to be. These are technically no longer buttons that you can physically press down. Instead, they seem to be part of the frame itself and to activate them, you would touch them. In theory, this doesn’t seem like a bad idea as less moving parts means less things can break. However, they don’t always work as intended and it takes a lot of trial and error before you figure out how to properly use these buttons. It’s an odd feeling pressing down on something that doesn’t go down like a button should and an even odder feeling when nothing happens. Let me explain. When you press a button down, you want the action to be almost instantaneous. There shouldn’t be any lag or any doubt what that button does. On the HTC U12+ however, pressing the volume button for instance sometimes does nothing at all and it makes it super frustrating. You have to hold the phone a certain way to get these buttons to work correctly or press then a certain way and sometimes no amount of force will get them to work. I’m the type of person who is constantly messing with the volume buttons and not being able to use them correctly is a huge negative. 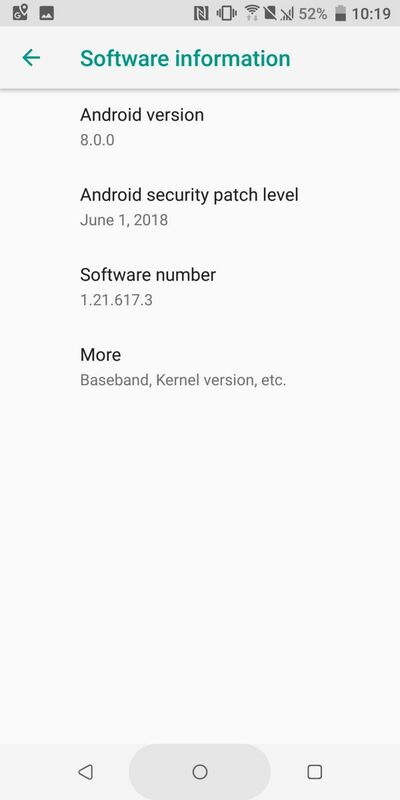 However, there is a software update though that does make the experience a bit better, so I’m thinking that as time goes now, maybe this will improve. This is my one biggest issue so far with the HTC U12, but if it can be fixed so that it works more accurately, then the HTC U12+ would be near perfect. I would still prefer some real tactile buttons though over these new touch buttons. On a side note, this HTC U12+ does look very much like a Sony Xperia XZ2 Premium, just smaller. But that’s mainly because the Sony changed their design language this year while the HTC phones have pretty much looked like this the last few years. On paper, the HTC U12+ has a lot of the specs you’d want to look for in the current meta for flagship devices. 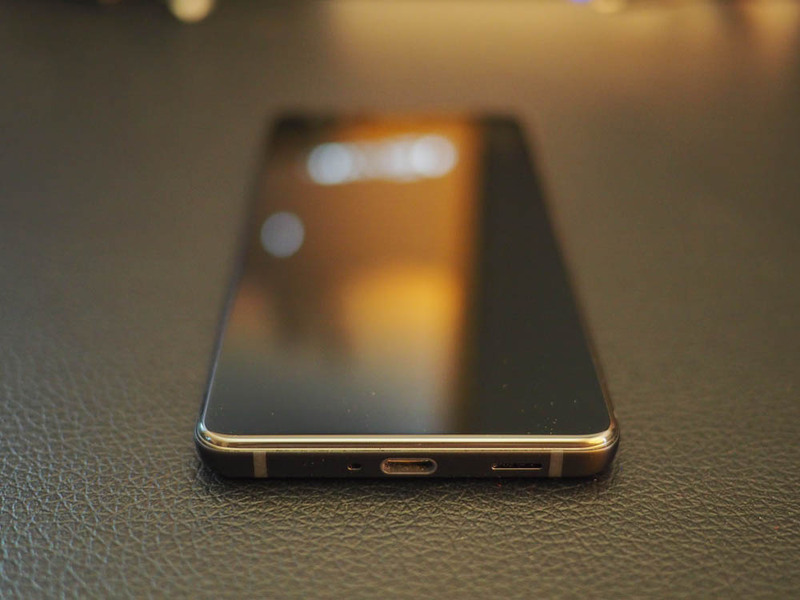 We’re talking about a Qualcomm Snapdragon 845 mobile processor with 6GB RAM, 6″ Quad HD+ Super LCD display, dual front cams, dual rear cams, 64GB or 128GB of storage with expandable storage, IP68 rating, a 3500mAh battery, a whole host of latest connectivity options, every sensor you can think of, and a premium design. I mean it’s got pretty much everything imaginable that you would look for in a 2018 flagship device. The only thing that could possibly be missing would be a third camera on the back which some device makers have begun to do. If you’ve ever used an HTC phone before, then the HTC Sense launcher that is used will be familiar to you. If not, then I don’t think it’s really that much different from stock Android or really any launcher other manufacturers use. On the HTC U12+, it’s very fast with zero lag. On the HTC U12+, you will notice that there is a lack of HTC branded apps on here. 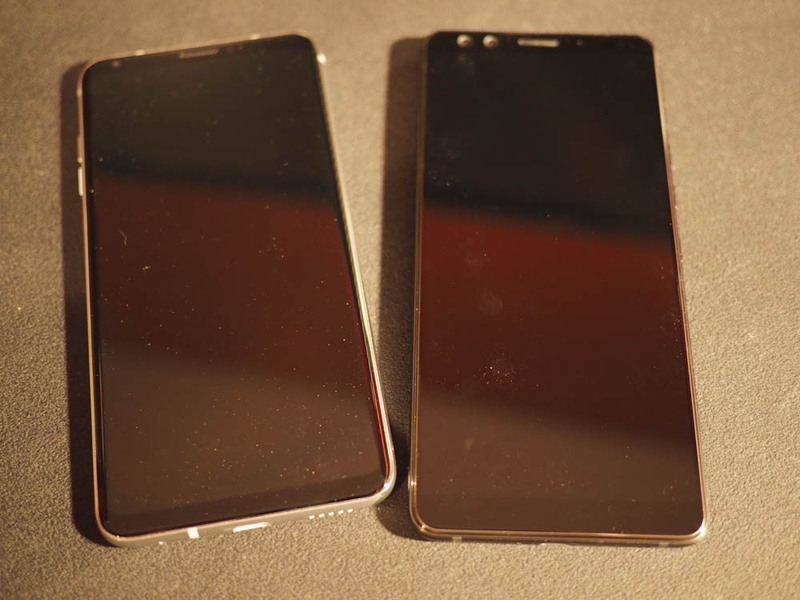 The same could be said about the previous HTC U11. There are some, but for the most part, HTC chose to go with a lot of stock Google apps for certain things. For instance, there’s not HTC music app and instead you’l be using Play Music. You’ll be using Google Photos as your album viewer, and there’s no video player for some reason. There are also a few 3rd part apps that come installed as well. Social networking apps Facebook and Instagram are installed, News Republic as the default news reader, UA Record for fitness tracking, and VIVE stuff for VR I’m assuming. TouchPal is also the default keyboard like it is on so many others, but I swap this out right away for Google’s Gboard. 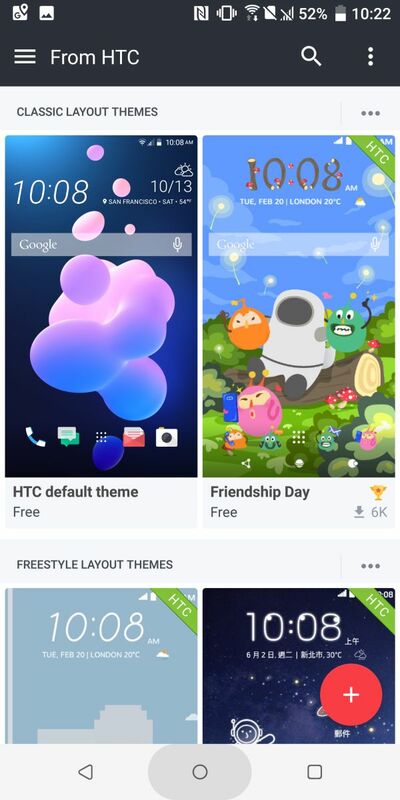 HTC’s Sense launcher also allows you to apply themes that you can grab from HTC’s Theme store. 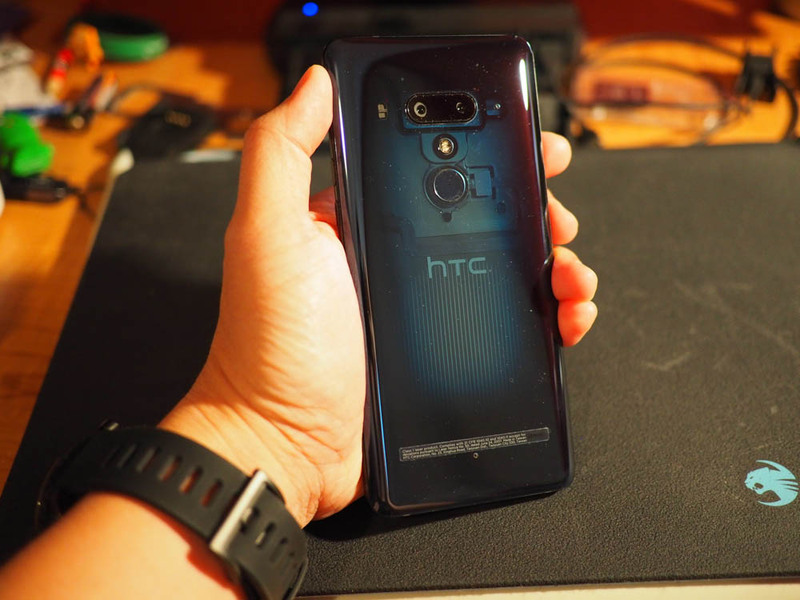 The HTC U12+ I believe is the first phone I’ve used that has four cameras – two up front and two on the back. The front cameras are both 8MP units while the rear has 12MP and 16MP units. Starting with the front cameras, they are both 8MP, f/2.0 units. The reason for the dual cameras is because I believe the second one is used for special features such as the new AR Stickers, Bokeh mode, and Beautification mode. They’re also used for face unlock. If you’re recording video, the front cameras also record at 1080p resolution. I don’t really use the front cameras all that much for selfies but the quality is pretty good for that. At the very least, the AR Stickers and selfie bokeh are neat. As for the two rear cameras, they do serve different functions. The 12mp unit is a wide-angle camera with HTC UltraPixel 4 and the 16mp unit is a telephoto camera. Optical zoom is from 1.85x to 2x while anything above that up to 10x is digital zoom. The one semi odd thing here is that the highest you can take a photo at is 12MP at 4:3 ratio otherwise it drops to 9MP and 8MP, not 16MP. I will say that the rear cameras are pretty fast and seem to focus quickly thanks to the laser and full sensor PDAF focusing system. My favorite mode though has to be the bokeh mode. With a touch of a button, you can enable it and it makes everything around the main subject blurry. It works very well and you can even adjust the amount of blurring it does. The HTC U12+ also seems to take some really good photos in dimly lit situations. Where most cameras would have a bit or a lot of noise, the HTC U1+ barely has any. It also seems to retain a lot of the fine details and colors. 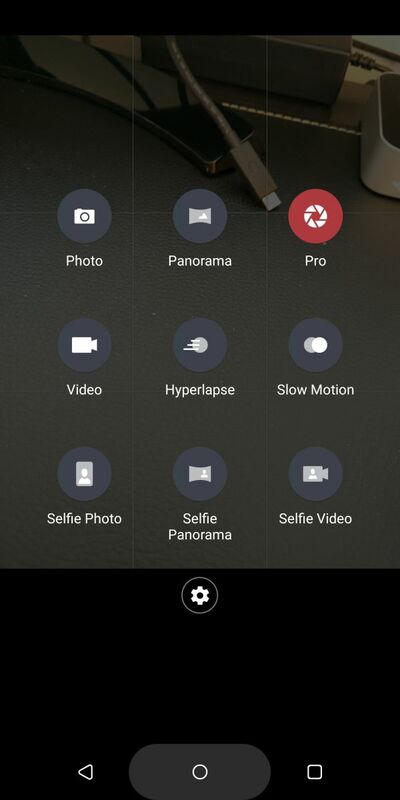 Other modes include slow motion, hyperlapse, panorama, and a pro mode. The pro mode allows you to go into full manual mode. That means you can manually adjust settings like the white balance, focusing, ISO, shutter speed, etc. You can even shoot in RAW format. It’s honestly getting to the point now where having a real camera is no longer necessary for most day to day things. Overall, I’m very impressed with the camera on the HTC U12+. Mainly impressed with the speed, quality, and the bokeh mode. You can check out a few sample photos here. One of the main differences here between the HTC 12+ and every other HTC that came before it is the placement of the finger print reader, which is now on the back of the device. I actually prefer it on the back now as I’ve grown accustomed to it back there and the HTC U12+ has it in the perfect position. It’s not smack dab in the middle and is placed higher up, just below the dual cameras. It’s also impossible to mistake it for the cameras like you do some other devices. You can wake the phone up from sleep with this. Another option is to use the button on the side if you just want to check your lock screen for notifications, but be warned like I stated above, these new buttons on the side are incredibly finicky. You really have to hold the phone a certain way and touch and squeeze in just the right place for them to work properly. Speaking of unlocking, the HTC U12+ does have a face unlock feature and it works quite well. It’s fast and responsive and it seems like I can even unlock it in very dim lighting. You can also set “motion launch” gestures to wake the phone. Double tap the screen to view the lock screen or swipe up to unlock. I’m glad to see that there are multiple ways I could go about unlocking my device. Next up we have to talk about Edge Sense 2 which is a main feature of the HTC U12+ and what separates it from a lot of other Android smartphone out there. With this feature, you can set a lot of shortcuts for actions based on how you squeeze the sides of the phone. You can squeeze lightly for one shortcut and squeeze harder for the second shortcut. 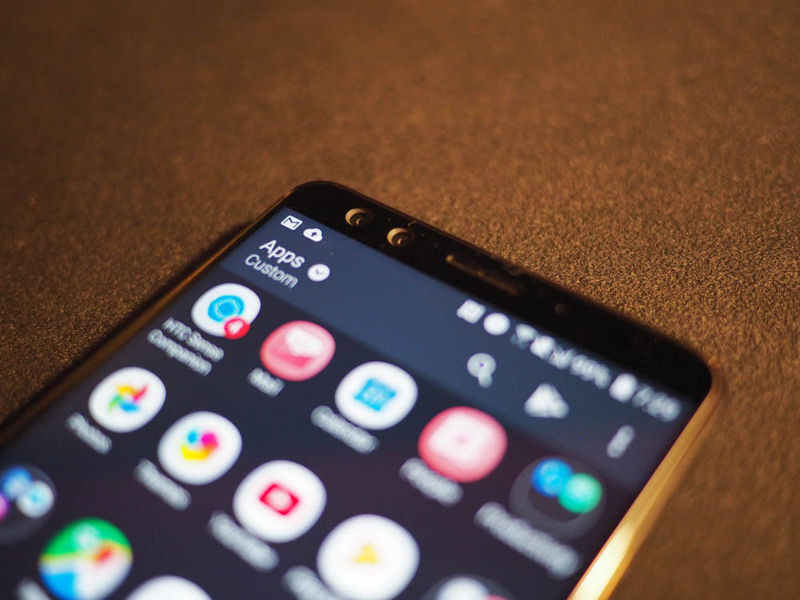 Some actions you can set are to launch the camera, the default AI assistant, the Edge Launcher, and more. Some apps if they’re built for it will even associate their own shortcuts to Edge Sense 2. 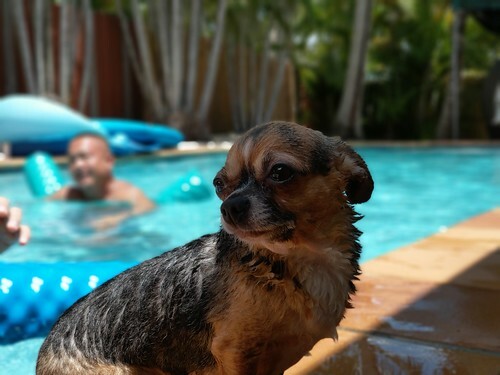 For instance, if you are using the camera app, squeezing will snap a photo. Again, in theory this should be something neat to use and adds more shortcut like functions to the device so you don’t have to dig through menus. Instead, I still think it’s a novelty feature that I haven’t found a real use for. Most people I think would just turn this off after a while. In terms of weight, the HTC U12+ isn’t that bad. It feels about the same as my current phone and comfortable to boot. Again, it’s not too large or too small and I can say that It’s not too difficult to use one-handed either. If you have smaller hands, you can even enable one-handed mode by tapping on the sides of the phone. This is also part of the whole Edge Sense 2 thing. To protect the HTC U12+ out of the box, there is a case included. It’s just a simple case that clips to the back of the phone and mainly protects the rear glass and corners. 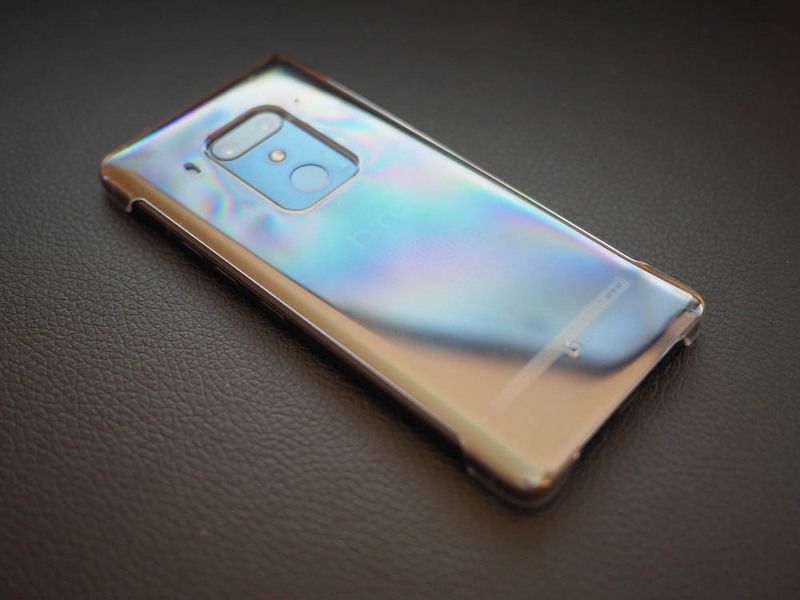 There really isn’t much side protection and I’m guessing that might have something to do with the new touch buttons and being able to tap the sides. I don’t know if using a full on case would affect the functions of these new features. Regardless, I’m glad HTC did include some kind of protection out of the box. Speaking of in the box, they’ve also included a pair of wired HTC USonic earbuds that plug in via the USB-C port since there is no audio jack. These are actually really good earbuds as the HTC USonic earbuds feature advanced Active Noise Cancellation. They continuously monitor environmental sound levels and quickly adjust to compensate for new noises or disturbances. They also feature Hi-Res Audio. This is a really nice thing to include, even though I’m more of a wireless headphones guy myself. Lastly, let’s talk about performance. I know I already said the UI is very quick and responsive but I want to touch on how much smoother the app experience is, especially with games. I have one game in particular that I play called Brave Frontier that usually carries a heavy toll on most devices I use it on. Usually I’ve to decrease the graphic quality a bit and disable a few of the visual enhancements. That’s not the case with the HTC U12+. I’m able to run the game at full quality and with all the visual enhancements on. This is maybe the first time I’ve been able to do that. Not only that, on some of my other devices, it would not keep my place in the game and just reload it if I exit for a bit and come back. That probably has to do with some type of memory or battery management. With this, I can leave the game running in the background and come back to exactly where I left off. I’m guessing that 6GB RAM really helps. There’s a lot I really love about the HTC U12+ and a few items here and there I don’t. Starting with the items I love, I love the size, the gorgeous Translucent Blue color, the really good built in speakers, the cameras, and how fast this device is. 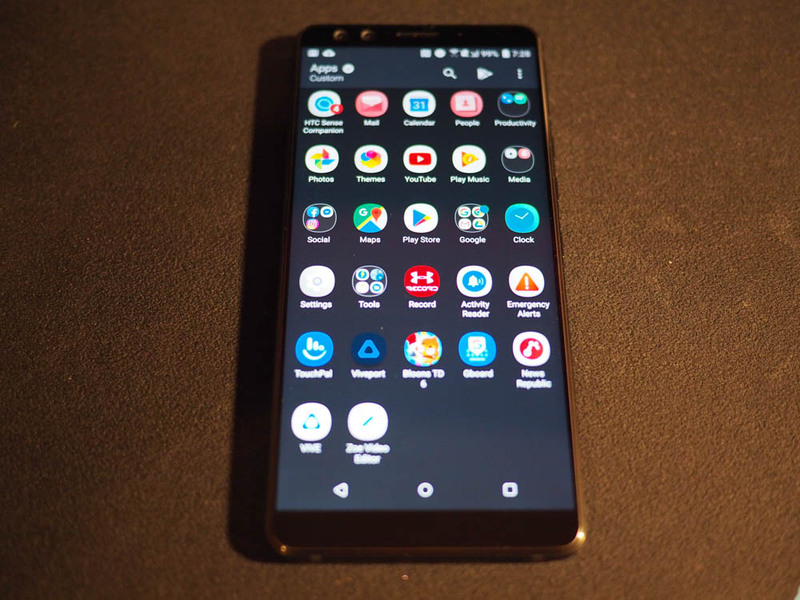 The Qualcomm Snapdragon 845 paired with the 6GB RAM makes this phone a real joy to use especially with processor heavy games. The HTC U12+ isn’t very heavy and doesn’t feel that slippery in your hands. I also don’t really mind the lack of an audio jack anymore because all the headphones I use now are wireless. Now comes the items I’m not quite impressed with and it’s really just one. I’m not a bad of the new touch buttons. They are very awkward to use and take a while before you really figure out how to use them properly. Even with the latest update, they can be frustrating sometimes. I would have preferred if HTC just kept the regular buttons. Also, I still don’t really find Edge Sense 2 that useful. It’s neat and interesting, but I couldn’t really find a good reason to keep it on. Should you consider the HTC U12+ if you’re looking for the latest flagship? That really depends on your needs. 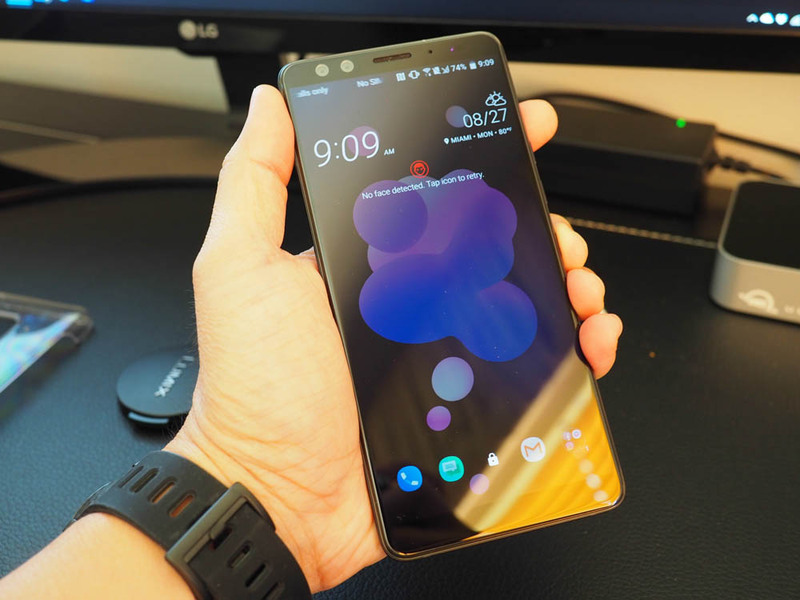 For the most part, the HTC U12+ is a great phone with a lot of the latest specs and the fact that it’s unlocked is a big plus for those who travel a lot internationally. However, the touch buttons need some getting used to hopefully future software updates further improve upon their accuracy. Until then, the HTC U12+ isn’t quite perfect just yet. But it could be if the little issues can be sorted out. It’s also $799. 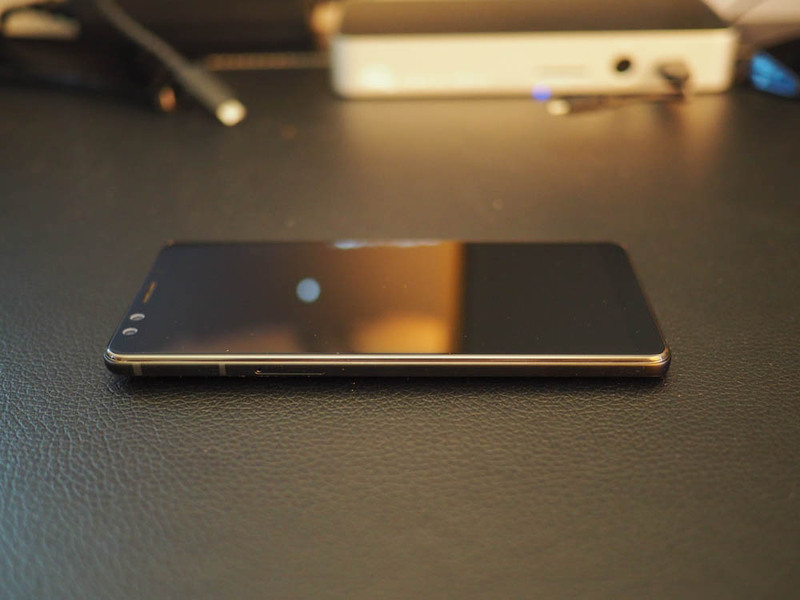 It’s not cheap, but it’s also not $1000 like some of these other flagships are heading.